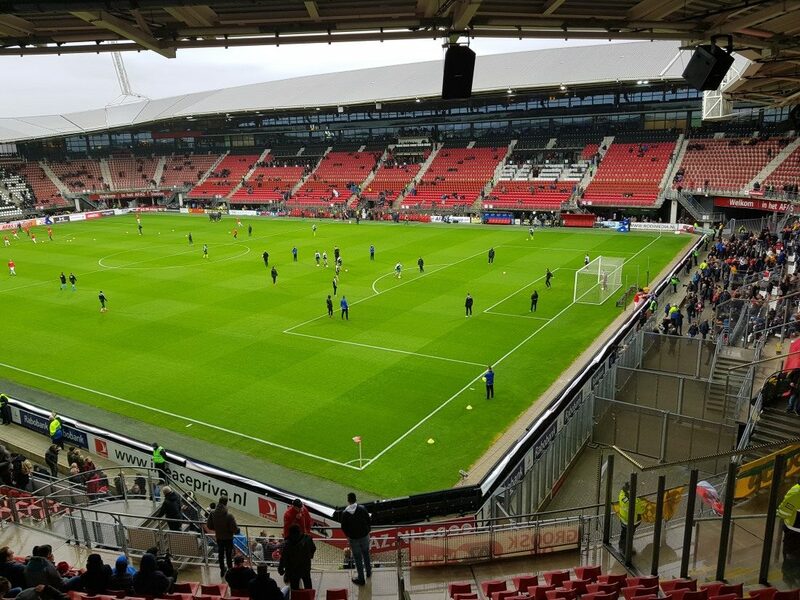 AFAS Stadion was built to provide AZ Alkmaar with a modern replacement for their old Alkmaarderhout stadium. The stadium opened on the 4th of August 2006 with a friendly match between AZ and Arsenal (0-3). 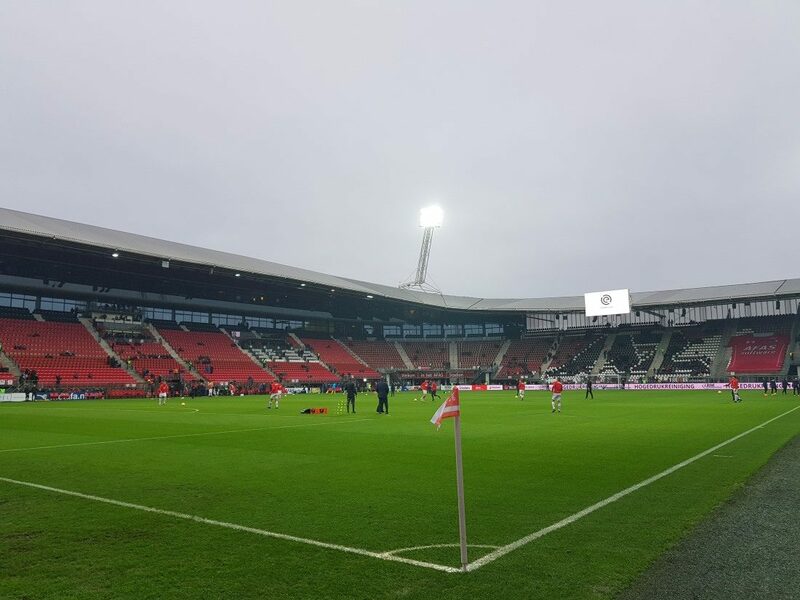 Until 2009, AFAS Stadion was called DSB Stadion after the company of then-owner Dirk Scheringa. However, after the bankruptcy of DSB the name got changed into AZ Stadion and later named after the club’s new main sponsor. Right after completion of the stadium, plans were made to expand the stadium with a second tier to a capacity of 30,000 or 40,000 seats. However, after the bankruptcy of DSB no funding could be acquired and plans had to be abandoned. 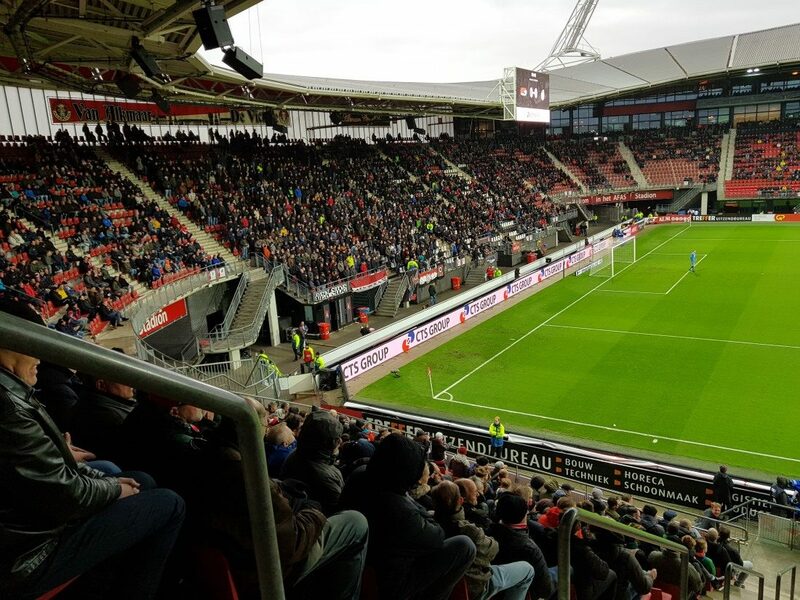 AFAS Stadion is located on the southern edge of the city of Alkmaar at just over 2 kilometres from Alkmaar’s city centre. The stadium lies right next to the A9 motorway. Take exit Ring Alkmaar/Heilo/Den Helder, from where the stadium is signposted with a football symbol. The walk from Alkmaar’s city centre can be made in about 30 minutes, though Alkmaar’s main rail station lies further away. From the station you can therefore take bus 163. Get the bus in the direction of Uitgeest and get off at stop Stadionweg. The ride takes slightly less than 15 minutes. On matchdays free shuttle buses go from the station to the stadium. 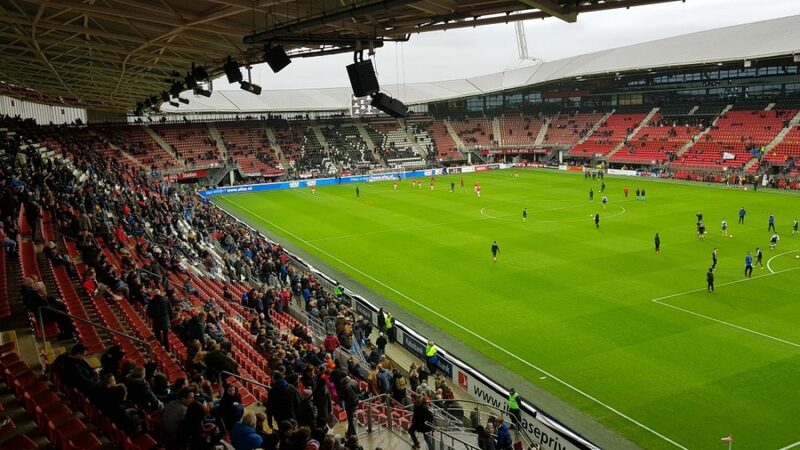 AFAS Stadion is located on the edge of the city bordered on one side by a quiet residential neighbourhood, on the other by a motorway, and further on by farmlands. Apart from a Chinese restaurant, there is little around in terms of eating and drinking, which is better done in Alkmaar’s city centre. 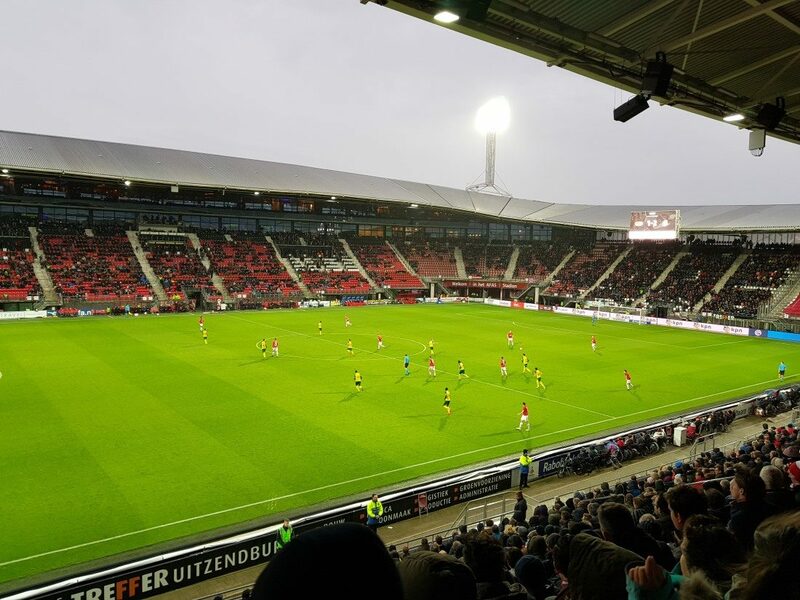 If you wish to stay as close to AFAS Stadion as possible, then you have the Golden Tulip Hotel Alkmaar at your disposal. It is a typical roadside business hotel that lies right opposite the stadium. Hotel Palatijn is a good alternative toward Alkmaar’s centre at 10 minutes walking from the stadium. 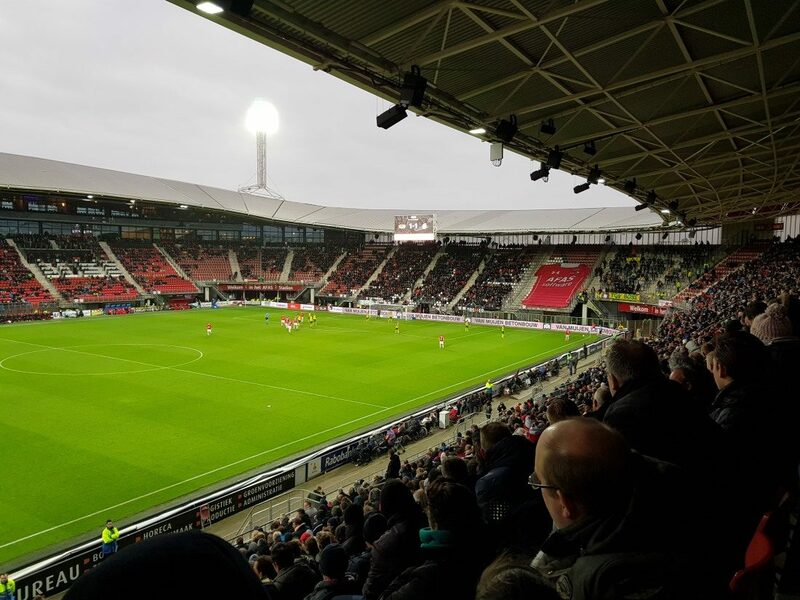 Click here for an overview of hotels near AFAS Stadion and here for a few alternatives in Alkmaar’s city centre. 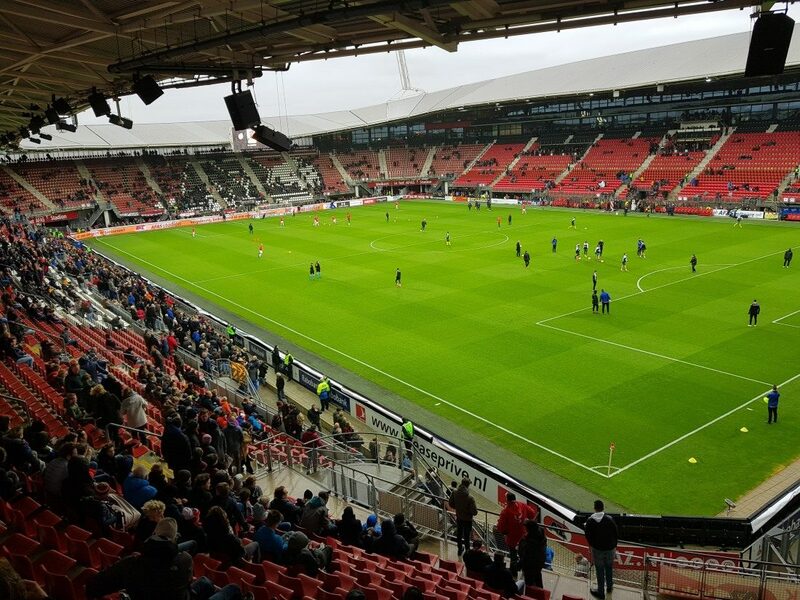 Tickets for AZ Alkmaar games can be bought online, or at the Fan centre at the AFAS Stadion. 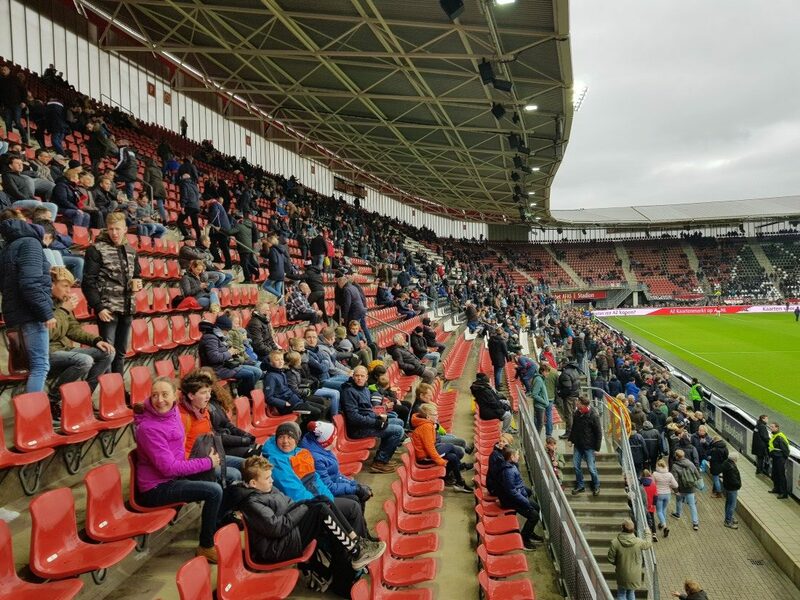 AZ only sell out the occasional high-profile match versus the likes of Ajax. For these matches a Club Card may be required to buy tickets. For regular matches tickets tend to go on general sale and are easily available. Tickets range in price from €23.50 for a seat behind the goal or in one of the corners to €40.00 for a central seat at the main stand. Prices are increased for a number of high-profile games to between €32.00 and €47.50. Call +31 (0) 72 547 8000 for more information. 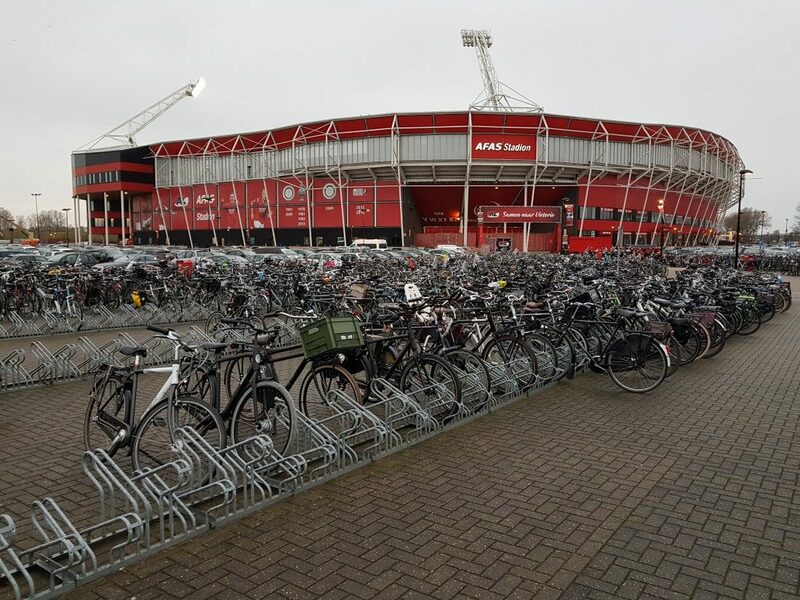 AZ Alkmaar offer guided stadium tours that last approximately 90 minutes. Tours do not run on fixed days and times but only if there is sufficient interest. Call +31 (0) 72 547 8000 for available dates. 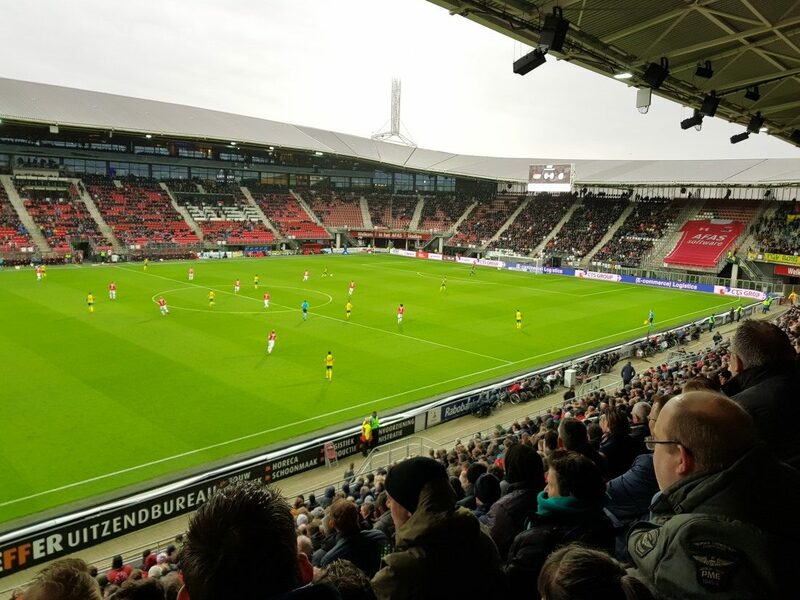 AZ.nl – Official website of AZ Alkmaar. Vvvalkmaar.nl – Website of the Alkmaar tourist office. 9292ov.nl – Public transport journey planner. What a fantastic friendly club. I visited the groundcthis afternoon with my son bith having travelled from England. We were welcomed and were treated superbly. Without any reservation a member of the club shop kindly showed us views of the pitch and we discussed our mutual interest in football, sharing the difficulties bothvour respective teams; ebbsfleet fc and Alkmaar have both been through. Your club echoes friendliness and is certainlya lovely club. In what we saw we were highly impressed and would like to thank you all for your kindness towards us. 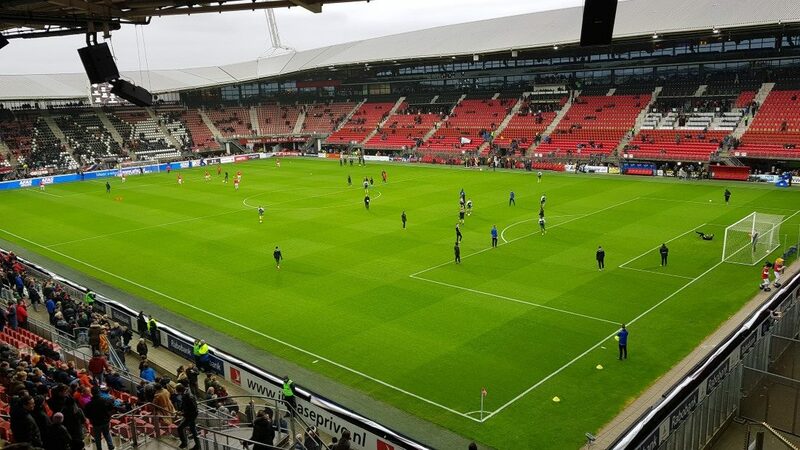 We will be following AZ Alkmaar and hoping their fortunes climb high. Thankyou from Chris and Harry.. Ebbsfleet Fc fans travelling throughout Holland.